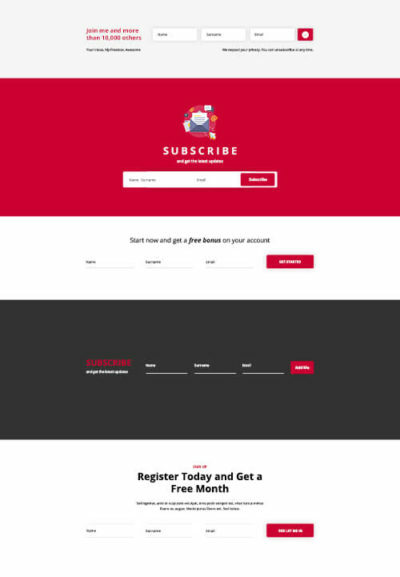 The following layout pack layouts for Divi can be used in your website running on Wordpress and Divi Theme. Some layout pack layouts can be imported to the Divi layout library and some are available directly within the Divi builder itself as pre-defined layouts. Select a layout pack template from the directory below, then click the view layout button to find full details of where to download the layout pack layout and any additional information from the layout developer. $5.50 Tags: blurb module, divi-den, layout pack, sections. $5.50 Tags: divi den modules, feedback, layout pack, testimonials. $5.50 Tags: blog page, divi-den, layout pack, modules, sections. $5.50 Tags: divi-den, layout pack, modukes, prices page, pricing table, sections. $11.00 Tags: content, divi-den, features, layout pack, products, sections. 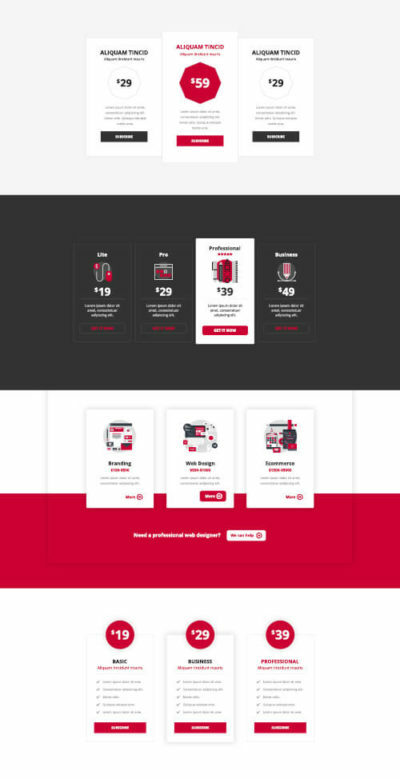 $11.00 Tags: divi-den, layout pack, modules, opt-in, sections, sign-up, subscribe. FREE! Tags: 1 (one) page, elegant themes, free divi layout packs, layout pack, portfolio, projects. FREE! Tags: coming soon, elegant themes, free divi layout packs, landing page, layout pack, sections, under maintenance. FREE! Tags: elegant themes, free divi layout packs, layout pack, modules, sections, wireframe. FREE! Tags: 1 (one) page, elegant themes, free divi layout packs, landing page, layout pack, sales page, wireframe. FREE! Tags: 1 (one) page, elegant themes, free divi layout packs, landing page, layout pack. FREE! Tags: 1 (one) page, elegant themes, free divi layout packs, layout pack. FREE! Tags: elegant themes, free divi layout packs, layout pack, modules, sections, template, wireframe. FREE! Tags: costs, elegant themes sections, free divi layout packs, layout pack, pricing module, pricing page. FREE! Tags: elegant themes, free divi layout packs, generic, layout pack, modules, sections, wireframe. FREE! Tags: 1 (one) page, cv, elegant themes, free divi layout packs, job application, layout pack, resume. FREE! Tags: 1 (one) page, creative, elegant themes, layout pack, photographer, portfolio.